We start a Facebook group for each incoming class (since the whole world seems to revolve around Facebook now!). It gives our incoming a class a chance to connect with one another, and it gives us a chance to answer questions over the summer, too. 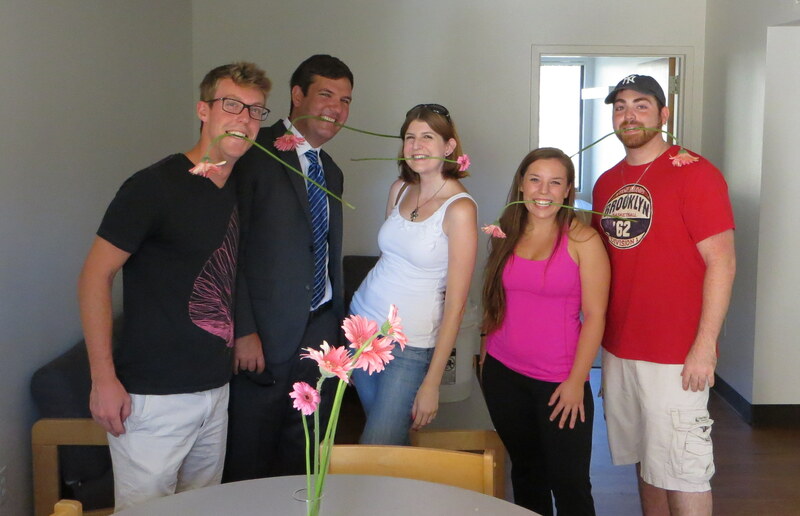 The main activity in the Facebook group, however, is the search for housing and roommates. The group is valuable for that purpose alone. I remember when my family considered moving to Malibu, and the price and availability of housing was one of our main concerns. We chose to live in on-campus housing, which worked great for us, but it was good to learn after our move to Malibu that there are a variety of housing options. 1. Do you want to live on campus or off campus? 2. What price is right for you? This is a big week. The first set of students living on campus arrives on Monday (today!). The rest arrive on Tuesday. The faculty and directors travel to Westlake on Wednesday for a retreat. Then, on Thursday, new student orientation begins and we won’t catch our breath until the school year ends in May. It is hard to capture in words how excited we are at Pepperdine Law that the new students are arriving. At the same time, however, I realize that the family and friends of our new law students are experiencing a wide range of emotions. Excitement is definitely one of them, but apprehension is usually standing close by – even sadness for those that have to say tearful goodbyes. All in all, we are all having a big week. As I launch this brand new blog for the family and friends of our law students, I think it is an appropriate beginning to do my best to assure you that you are releasing those that you love into good hands. There are good reasons to feel apprehension at the outset of law school – surviving is no easy task. However, it is my hope that you find a measure of peace in knowing that “your” student is a part of a special class of students that will be welcomed with open arms in a way that I suspect no other law school can match. If you doubt my assertion, I challenge you to find out how many law schools have a dean like ours that is making sure that every on-campus apartment has a vase and flower in it with a welcome note from the dean herself!!! It was fun this morning to implement Dean Tacha’s idea with some of our upper division student mentors! Please feel free to light up the comment boards and get to know one another. I have high hopes that this blog can be a place for us all to stay connected. These law students keep me hopping, so regular updates will be a challenge – but I enjoy a good challenge! Welcome to ALL of you to the Pepperdine Family.